District Governor Randy Feldman visited the Ocean Springs Rotary Club on August 24, 2016. Mr. Feldman spoke about how Rotary has changed his life. Feldman encouraged club members to participate in the upcoming conference and the international conference. Mr. Feldman stated that giving to Rotary Foundation gives you a chance to impact many people's lives. He praised the history and perserverence of the club. 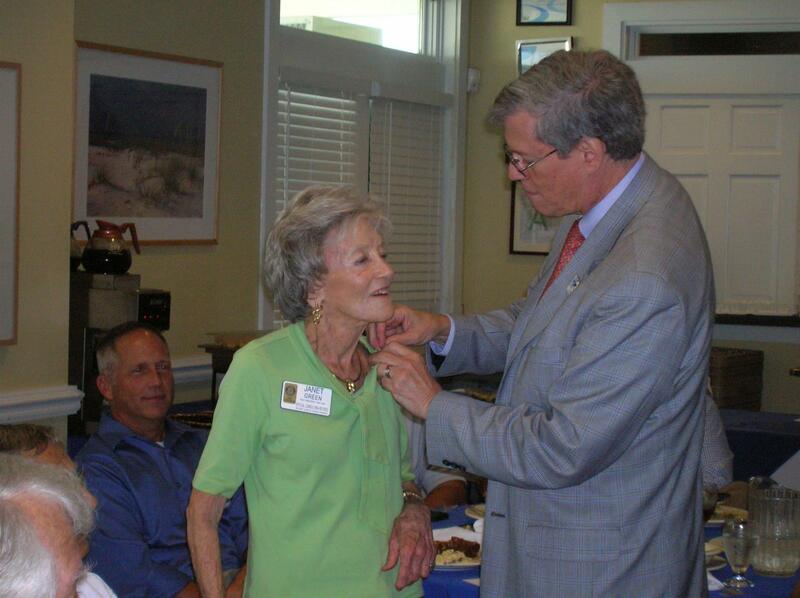 Mr. Feldman presented Janet Green with the Heart of the Club pin.